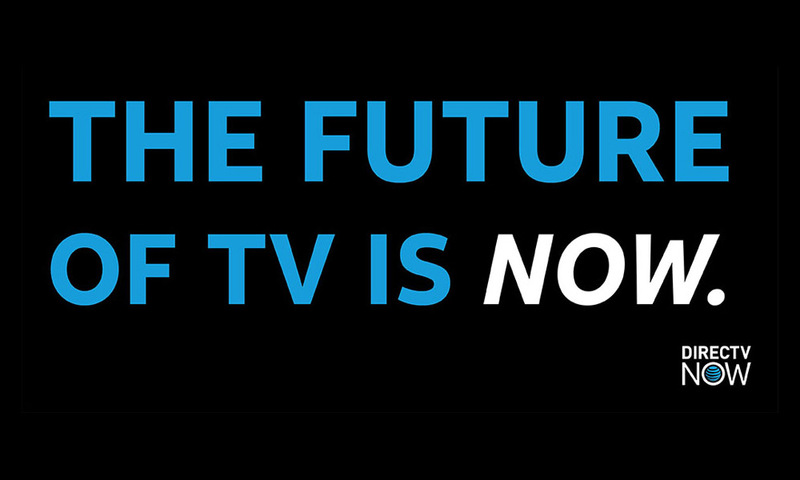 AT&T announced a brand new streaming TV solution today called DIRECTV NOW. As the name suggests, this is an initiative launched through their DIRECTV arm, but will be available to everyone starting November 30 for as little as $35 per month. DIRECT TV now is very much like Playstation Vue or Sling TV in that you subscribe without contract to a set of channels that can be streamed. It’s another cut-the-cord TV service that works on a variety of platforms and through a variety of apps. Plans range from $35 per month up to $70 per month and with channel line-ups ranging from 60+ up to 120+. To start, though, AT&T will offer the “Go Big” plan (100+ channels) for $35 per month ($25 discount). If you sign-up for that deal and keep the package, you’ll get that price for good or at least until “future reasonable programming price increases” arrive. 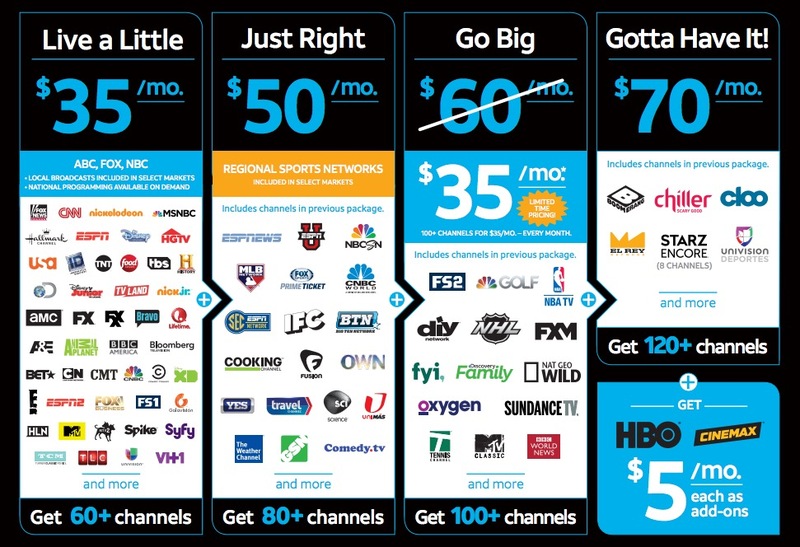 We have yet to see a complete list of channels for each package, but AT&T will likely deliver a decent line-up. Once we know, we’ll update this post. On a good note, they are suggesting that HBO can be added for just $5 a month (Cinemax too), which is about $10 per month cheaper than almost all other streaming TV services or HBO NOW. UPDATE: Here is a look at the channel line-ups for each package. These aren’t full lists, but it gives us a start. AT&T says to expect Roku support in 2017, as well as Amazon Fire tablets, and smart TVs from Samsung and other brands. Android TV is not mentioned in the press release at all. Hopefully, they plan to release an Android TV app. Customers can get an Apple TV included with 3 months pre-paid of any DIRECTV NOW package. Customers can opt for an Amazon Fire TV Stick with Alexa Voice Remote included with 1 month pre-paid of any DIRECTV NOW package. LeEco is also offering DIRECTV NOW service with the purchase of LeEco smartphones and TVs. 1 month of DIRECTV NOW service when you buy a Lenovo laptop with Intel® Core™i3, i5 or i7 processor. Finally, if you are an AT&T subscriber, DIRECTV “will pick up the tab for data to help you achieve all your binge-worthy goals.” In other words, they are white-listing data used for DIRECTV NOW, so that it doesn’t count against your data bucket as you stream. The service launches November 30. To learn more, hit up the DIRECTV NOW site.